"Over the evening, we recorded about 30 launches from the Gaza Strip toward the Israeli territory. The Iron Dome systems intercepted some of them. Most of the shells that were not intercepted fell in the open ground", the army said, without reporting any casualties. The Israeli military said that in response, it attacked dozens of facilities belonging to Palestinian militants, including the office of Hamas leader Ismail Haniyeh. On Monday morning, the Israeli health authorities said that at least six people had been injured in central Israel, north of Tel Aviv, as a result of the rocket fire from the Gaza Strip. 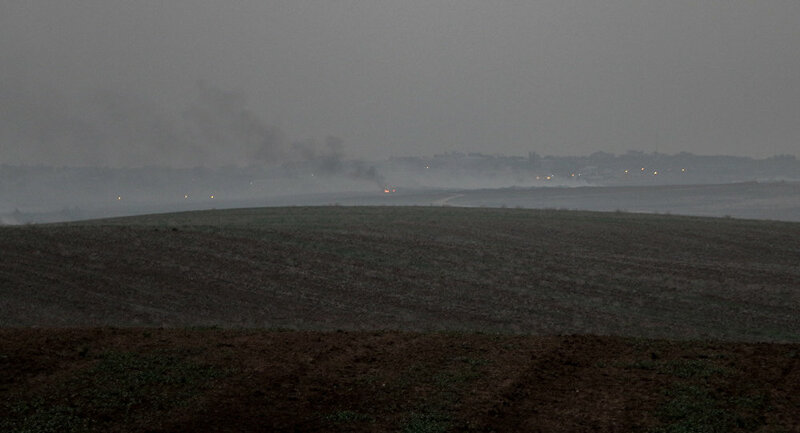 Following the aerial raid, alarms sounded in central Israel. In response to the attack, the Israel Defense Forces started attacking Hamas targets in the Gaza Strip. Hamas spokesman Fawzi Barhum said later that Hamas movement, de facto governing the Gaza Strip, had reached an agreement brokered by Egypt on a mutual ceasefire with Israel. The relations between Israel and Palestine have been shattered for decades. Palestinians seek diplomatic recognition for their independent state on the territories of the West Bank, including East Jerusalem, which is partially occupied by Israel, and the Gaza Strip. The Israeli government refuses to recognize Palestine as an independent political and diplomatic entity, and builds settlements on the occupied areas, despite objections from the United Nations.